World leaders continue to keep mute and turn a blind eye to the extrajudicial executions of innocent unarmed Biafrans been carried out by president Buhari in Nigeria. 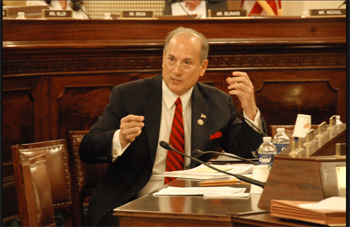 Tom Marino who's a member of the United states Congress has written a letter to United States secretary of state, John Kerry asking the US government to withhold security support to Nigeria due to President Buhari's content violation and abuses of human rights law, stating that his government has failed to uphold a democratic administration since he came into power. President Buhari's reputation as a tyrant and dictator has become more evident and alarming for all to see. John Kerry who paid a visit to Nigeria just recently, should know better than to consider offering military service and hardware to President Buhari in the midst of all the terror going on in Nigeria. Tom Marino who also asked the State Department to refrain from selling warplanes and other military hardware to Nigeria until President Buhari establishes a track record of working towards inclusive government. In a two-page letter dated September 1, 2016 addressed to Kerry, Marino, a Republican from Pennsylvania who assumed office on January 3, 2011, said there were a number of warning signs emerging in the Buhari administration that signal “the man who once led Nigeria as a military dictator might be sliding towards former autocratic tendencies”. The Congressman, who is a member of the Committees on the Judiciary, Homeland Security and Foreign Affairs, and the Chairman, Sub-committee on Regulatory Reform, Commercial and Antitrust Law, said Nigerian government must “hold accountable those members of the Nigerian Police Force and the Nigerian Military complicit in extra-judicial killings and war crimes”. In the six-paragraph letter to Kerry, Marino also expressed concern over Nigeria’s anti-corruption war, saying “of additional concern is President Buhari’s selective anti-corruption drive, which has focused almost exclusively on members of the opposition party, over-looking corruption amongst some of Buhari’s closest advisors. Politicizing his anti-corruption efforts has only reinforced hostility among southerners”. “Dear Secretary Kerry, I am encouraged by the personal interest you have taken in aiding Nigeria and its administration as it takes on endemic corruption, multiple insurgent movements, and a faltering economy. However, I believe there are a number of warning signs emerging in the Buhari administration that signal “the man who once led Nigeria as a military dictator might be sliding towards former autocratic tendencies.” “I would urge the U.S. to withhold its security assistance to the nation until President Buhari demonstrates a commitment to inclusive government and the most basic tenets of democracy: freedom to assemble and freedom of speech. A logical start towards this commitment is for the Nigerian government to hold accountable those members of the Nigerian Police Force and the Nigerian Military complicit in extra-judicial killings and war crimes”. Describing President Buhari as a former military dictator whose reign (as military head of state) was cut short by a coup, he stated that the President has continually shunned inclusivity in favour of surrounding himself with advisors and ministers from the north of the country and the region he considers home. “Of President Buhari’s 122 appointees, 77 are from the north and control many of the key ministries and positions of power. Distrust is already high in Nigeria and favouring Northerners for key appointments has only antagonized the issue. These appointments are also primarily Muslim in the north and Christian in the south, adding a religious aspect to long-held regional biases. “Of additional concern is President Buhari’s selective anti-corruption drive, which has focused almost exclusively on members of the opposition party, over-looking corruption amongst some of Buhari’s closest advisors. Politicizing his anti-corruption efforts has only reinforced hostility among southerners,” he claimed in the letter. Since President Buhari assumed office countless civilians in Nigeria have been killed and abducted by the Nigeria Armed forces, in fact the death toll of civilians killed by president Buhari has risen to 7000. Over 4000 Biafrans has been killed and close to 1000 are still held captive. Even Amnesty International confirmed this after their investigation in Nigeria. The oppressive approach by president Buhari has led to complete hardship, poverty and economic meltdown in Nigeria. President Buhari's Human Rights track record remains poor and worse, even as a so-called democratic president. So the United States of America needs to refrain from selling President Buhari and his Armed forces any hardware or military gadget that would cause the deaths of more innocent lives.